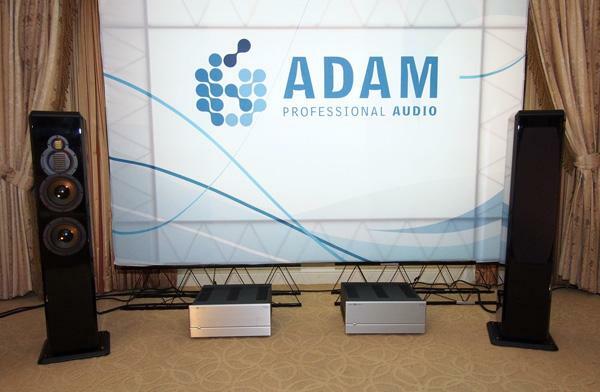 Meridian pioneered the integration of digital crossovers and D/A converters in a powered loudspeaker and the first room I visited at the 2013 CES featured the DSP7200 speaker ($38,000/pair). 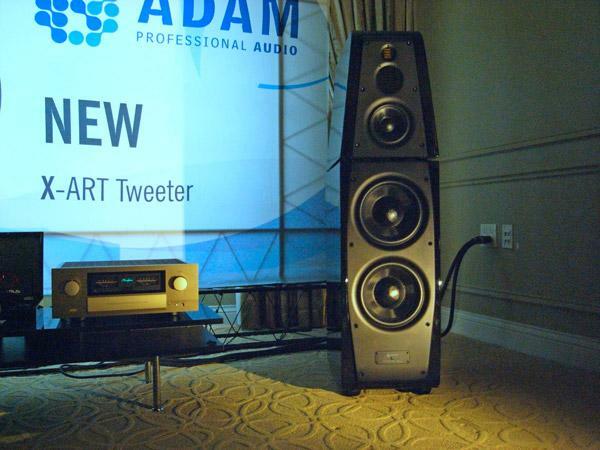 The has anew tweeter, said to be smoother and more open-sounding than the HF units used in earlier speakers, but perhaps more importantly, the 7200's crossover now compensates for the low-frequency group delay associated with the high-order alignment. This is difficult to do, as it conventionally demands a very long digital, computationally intense filter. However, Meridian's engineering team came up with a solution that only adds around 40 milliseconds of latency. While this might make video synchronization tricky, the added clarity at low frequencies was impressively audible. 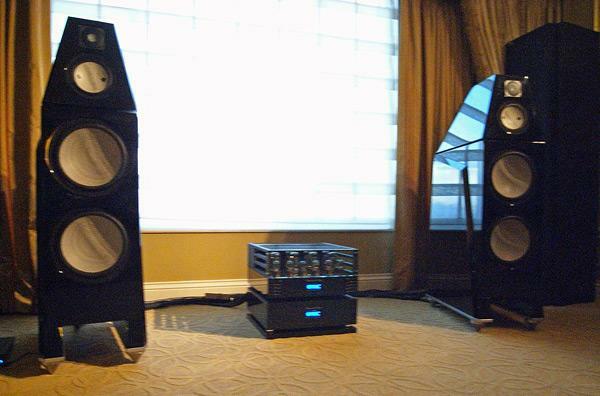 Bass started and stopped as it should, with none of the feeling of the lows being detached from the upper ranges that is typical of high-order woofer alignments. 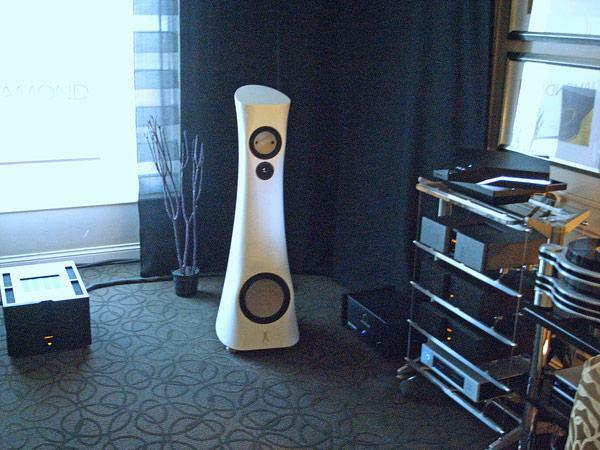 Jeff Joseph was demming his new Pearl3 floorstanding speakers ($28,100/pair) in an all Bel Canto system (including their new USB converters), hooked up with Cardas cables. Jeff's music choice was decidedly idiosyncratic a duet for marimba and double bass, a recording of an African singer and sax player made in his backyard, Harry Belafonte live at Carnegie Hallbut with every kind of music, the Pearls allowed the music to speak most effectively. Audio critic Myles Astor was playing Mike Oldfield's Tubular Bells"the LP that launched a thousand virgins," he quippedwhen i walked into YG's large room. 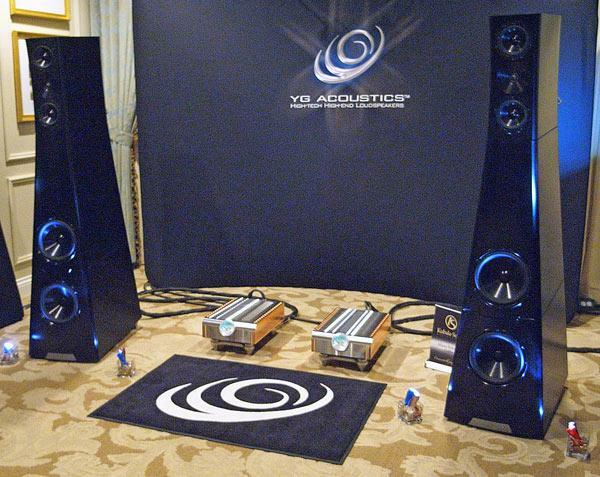 Whether it was the Dan D'Agostino Momentum amplifiers, the Veloce LS-1 battery-powered preamp, the Kubula-Sosna Elation! cables, or the Scheu Analog Das Laufwerk 1 turntable with Scheu 12" Tacco arm and Scheu Ruby 3 cartridge, but the sound in this room was stunning. 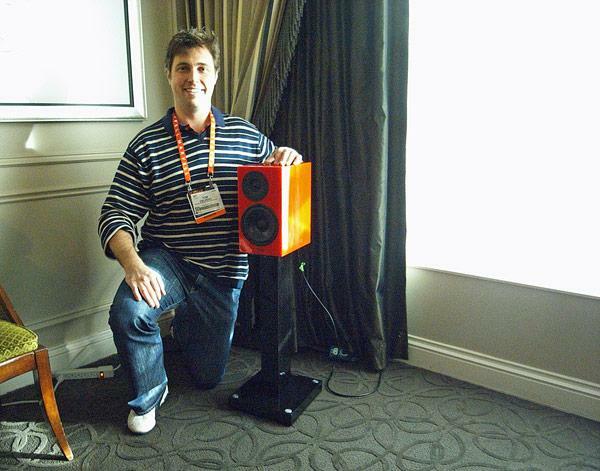 Or perhaps it was YG's new flagship speaker, the Sonja 1.3 ($106,800/pair)! 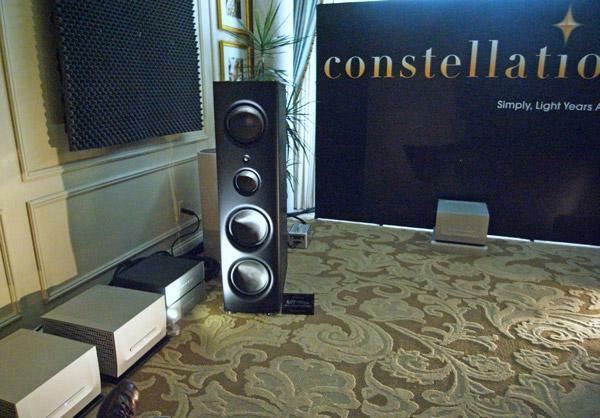 Larry Greenhill, who was covering expensive amplification at CES for Stereophile already blogged about the Constellation preamp and power amplifiers that were being used to bi-amp Magico's top-of-the-line Q7 loudspeakers ($185,000/pair). 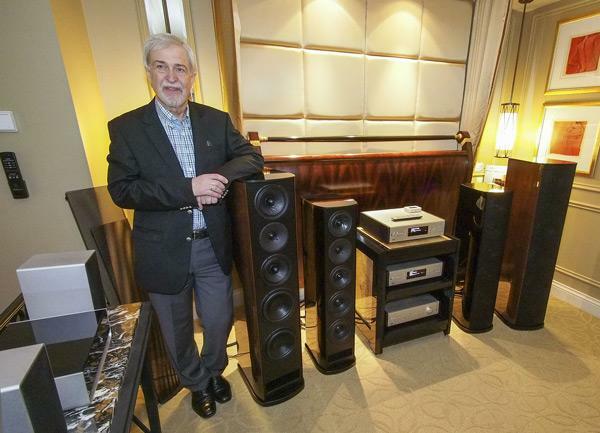 But here's a photo of the speaker, which was connected with MIT cables. AC conditioning was courtesy of Shunyata, racks by HRS. The sound in this room was magnificent, whether it was Lyle Lovett's "The Boys from North Dakota," Leonard Cohen's 10 New Songs, or my own live recording of Cantus performing Curtis Mayfield's "It's Alright." Oh my! 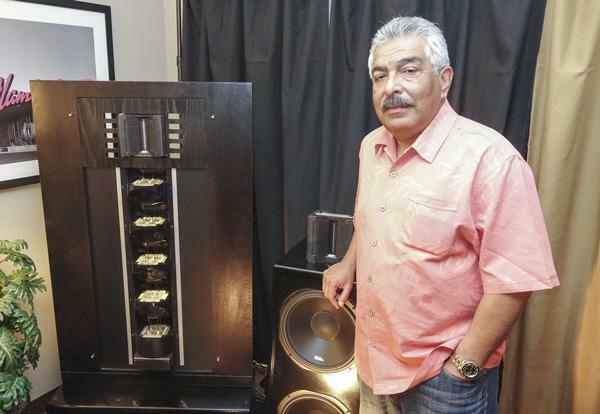 T+A (Theory and Application) is a German audio company best known in North America for their electronics and source components, not their speakers. 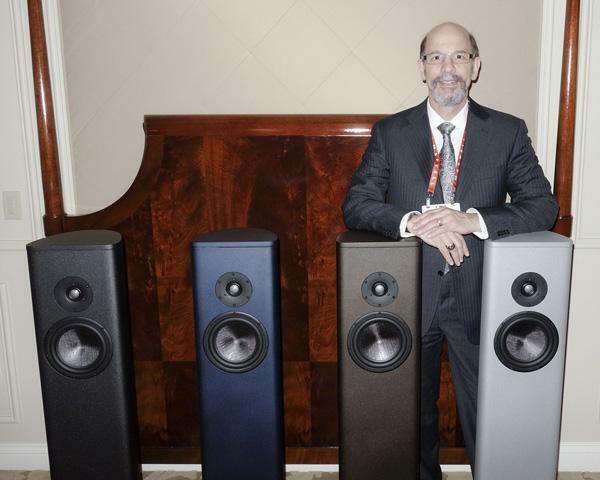 That’s about to change with the appointment of Dynaudio as T+A’s North American distributor, and the introduction of the T+A Criterion line of loudspeakers. Asked whether Dynaudiowhich, of course, is a loudspeaker manufacturerhas collaborated with T+A on the design and/or manufacturing of their speakers, Dynaudio’s Mike Manousselis quickly assured me that Dynaudio functions only as the distributor for T+A; the T+A speakers are manufactured entirely in the T+A factory in Herford, Germany. 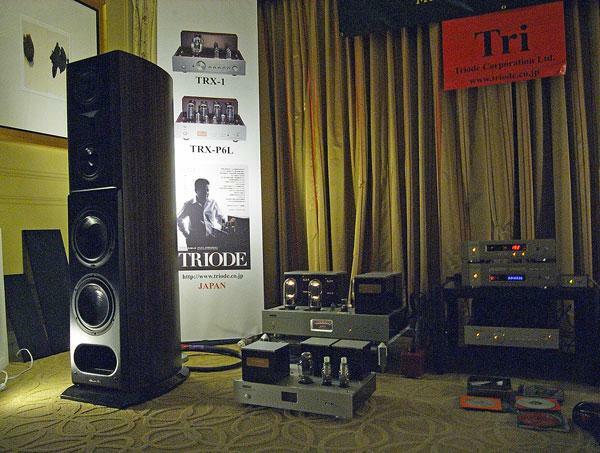 Dynaudio makes loudspeaker drivers that are used by quite a few speaker manufacturers, but T+A is not among them. 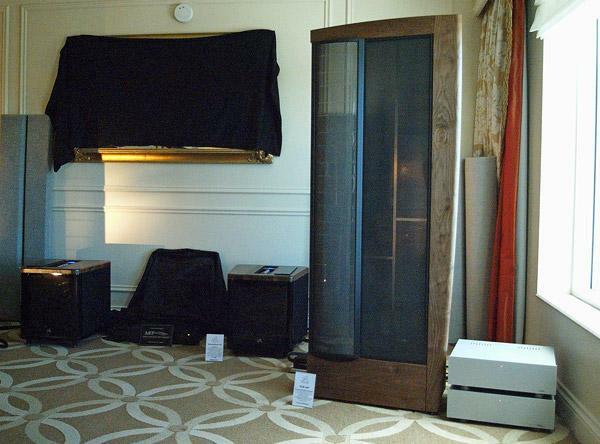 Listening to the big MartinLogan CLX full-range electrostatics ($25,495/pair) at the June 2012 Newport Beach Show had been a high point for me, though they were being demmed in too large a room. 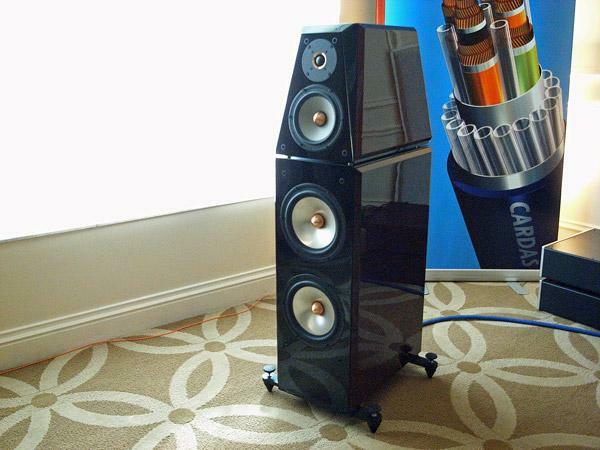 At CES, the CLXes were in a smaller room, and were being supported by a pair of MartinLogan's Balanced Force 210 subwoofers. 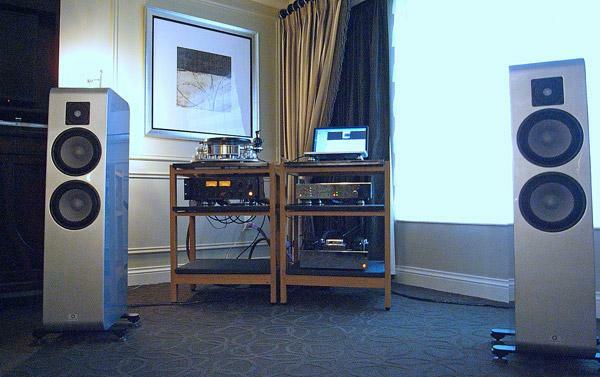 Amplification was by Cello and the source included Berkeley's Alpha DAC. I sat down to listen to a 176.4kHz file of Respighi orchestral music from Referenece Recordings, but sadly it was not possible to form much of an impression, due to the conversations competing with the music. 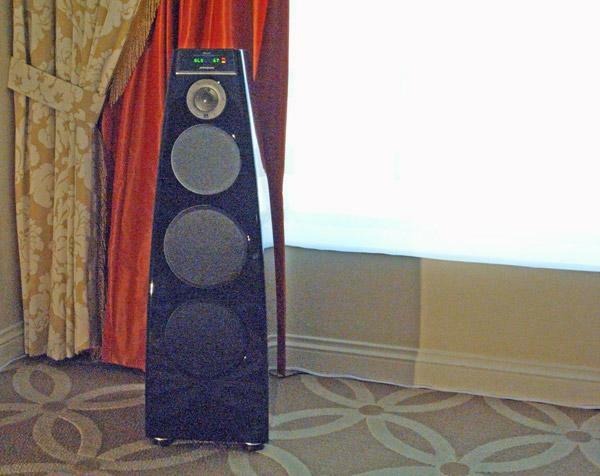 The Phoenix, a large, attractive-looking three-way design with ceramic-diaphragm drivers, can be had in passive form for $75,000/pair or in active form for $95,000/pair. The active form includes a 500W class-D amplifier for the woofers and incorporates the Rives PARC low-frequency equalization. Demmed with VAC amplification driving the HF and MF sections, the active Phoenixes worked well on Charles Mingus Mingus, Mingus, Mingus, Mingus album, the low end sounding more evenly balanced than in most other rooms.